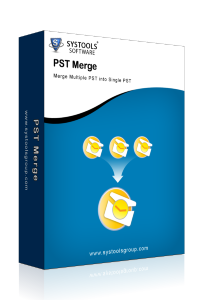 Acquire PST Merge software to fulfill your need to merge multiple PST files together into single PST. Combine Outlook archive files such as inbox, calendars, task, contacts, to do list, notes etc and save personal folder information collectively into new PST. Synchronize large PST files with couple of clicks by bringing into use MS Outlook PST merge tool; also filter out duplicate emails after merging Outlook PST files. 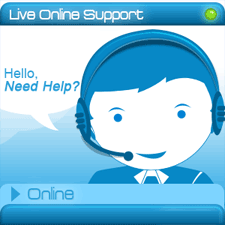 Grab now amazing opportunity to merge Outlook PST files without any data alteration. Merge Multiple PST files: MS Outlook PST merge software is capable to merge huge PST files to single PST without any data alteration. Combine Outlook Contacts:With PST merge consolidate related Outlook contacts to single PST within few clicks only and get new PST without any duplicate entries. 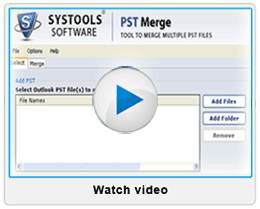 Manage Deleted Items: PST merge tool supports option to include/exclude deleted items from merge PST files without disturbing folder hierarchy in turn easing PST management task. Extended 2GB PST Resolved: PST merge tool after merging PST file automatically convert ANSI PST to Unicode hence no issue of oversize PST. Data Integrity Maintained: MS Outlook 2010 PST merge ensure no data loss while combining Outlook archive files including email properties and attachments. Compare PST File: PST merger proffers facility to compare PST files. You can easily compare files chosen for merging with the total number of files in merged PST file. Configure Merged PST to Outlook: PST merge automatically import PST files after merging multiple PST together. No need to configure merged PST file manually. There are other features too! Explore more features by bringing into use PST merge software. 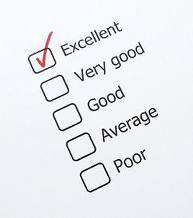 For your ease demo version is all available at FREE of cost. Go through working procedure and other specification of the tool before investing money in license version. Download Now FREE PST Merge Tool!! Acquire Now FREE MS Outlook PST merge tool, giving you aureate chance to test working and other specification of the tool at no cost. Download now best PST merge tool and combine initial three folders into single PST without worrying about any data loss. Also you can break this limitation by making order for license version that would cost $69 only for personal use and $199 for business license. How Long Outlook PST merge FREE version works? Chances of PST oversize increases automatically after merging! IS there any method supported by the tool to overcome this situation? What is the difference between PST Merge FREE editions and Full version? With FREE demo version of PST merge tool users are restricted to merge only 3 folders but this limitaion can be easily overcome with License version that supports unlimited merging of PST files. Merged PST files can be configured on another computer? Yes! User can easily configure PST to another PC, apart from this PST merge automatically confgure merged PST to current profile, so that there is no need to import Outlook PST file manually. If I want to cross check PST files chosen for merging to the merged one, is there any utility supported by the tool to do so? Yes! You can compare merged PST with the total number of files chosen for merging by clicking on "Compare PST" option.